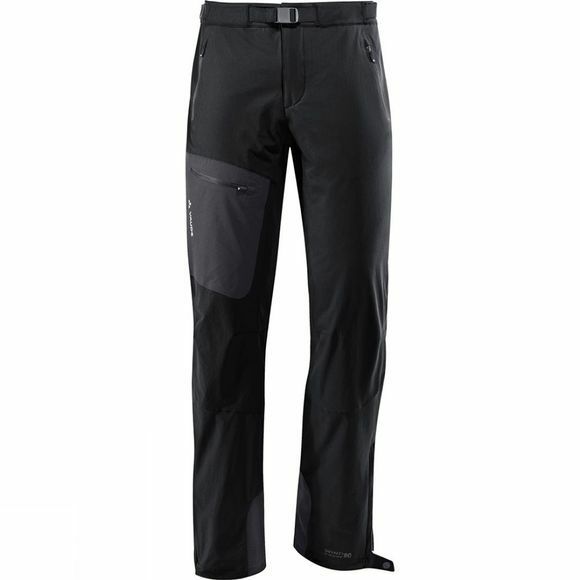 The Mens Badile Pants II from Vaude are as light as a feather. A truly lightweight softshell touring pants made from full stretch Windproof 80 material for all kinds of fun on the mountains. Ecologically manufactured in accordance with the stringent bluesign standard. With side ventilation zips and sonic-welded leg pocket.